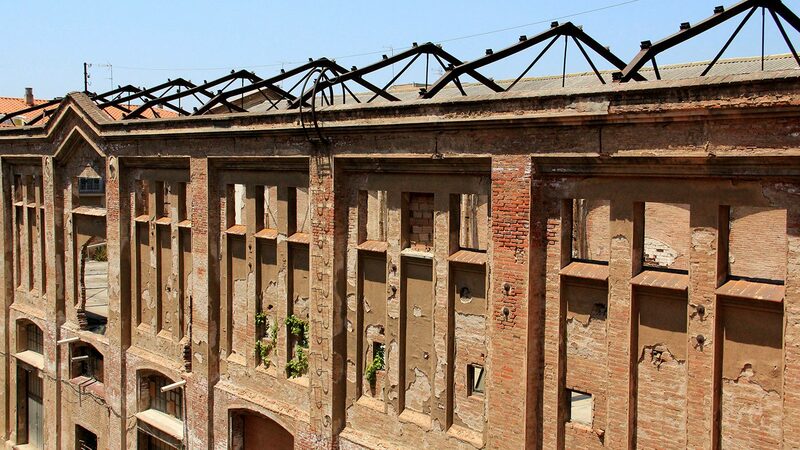 The rehabilitation, which will end its first phase at the end of the year 2020, will be oriented, above all, to industrial uses, and will involve an space of 2,500 square meters for the exchange of knowledge between the academic, industrial and entrepreneurial sectors, with coworking and experimentation spaces for emerging and derivative companies. In a second phase, meanwhile, a co-living project will be developed in another area of ​​the building. Aimed at students, professors, companies, research teams and citizens, the hub will integrate Labs and open spaces for the development of market opportunities based on the Design Thinking methodology. It will also be aimed at the design of prototypes, digital production and robotics to promote innovation at an industrial level and to turn the products of companies into Smart Products. The development of analysis and strategies at the level of user experience, consumer behavior and usability are also part of the project, which will seek to become a reference center of Smart Design both locally and internationally. At the business level, the hub will be centered in becoming a meeting point between the university and the business ecosystem for the integration between ideation, design and business. In addition to a strong emphasis on the empowerment of start-ups and creative talent, and the dissemination of expertise, the creation of spin-offs promoted by the university will be strengthened. The Vallès reindustrialization project, co-financed by the FEDER Operational Program of Catalonia 2014-2020, is part of the proposals in the framework of RIS3CAT, the Catalan strategy within the Research and Innovation Smart Specialization Strategy program of the European Commission (RIS3). The innovation ecosystem, oriented towards competitiveness and specialization, has the participation of the municipalities of Sabadell, Castellar, Sant Quirze and Barberà, as well as the Parc Taulí Health Corporation and the Autonomous University of Barcelona. “We must create the conditions among companies, universities, administration and citizenship to make the Vallès a more competitive territory and take advantage of our opportunities,” the mayor of Sabadell, Maties Serracant, said at the presentation of the project. “With this project, we have the challenge of positioning the Vallès as a specialized driver of innovation and design in industrial systems, with the creation of optimal conditions for an ecosystem and cohesive environment for industry, university, health and the administration, “he told reporters.